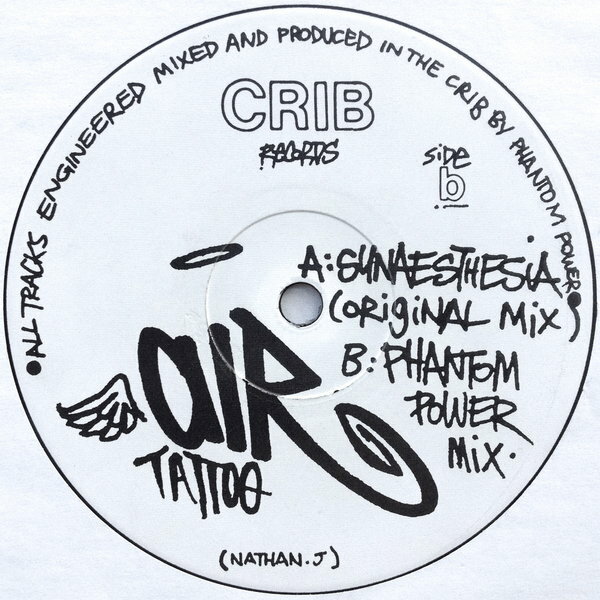 And This Is What You Get When You Least Expect It: Air Tattoo - Synaesthesia 12"
Air Tattoo - Synaesthesia 12"
This is the 1992 Crib Records 12" for the track by Air Tattoo. The A side original mix is a groovy proto-progressive house cut that starts slow, but quickly sets in with layering of sounds and rhythms that create a proper early 90's vibe. 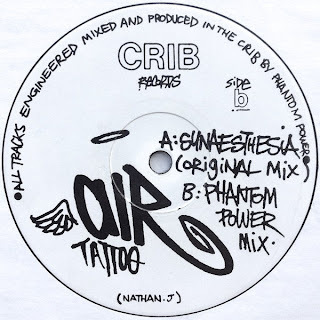 The B side remix was done by Phantom Power (aka Air Tattoo). This mix is a cleaner, more to the point version that seems to cut out the extraneous sounds and leaves the essential quality of the audio pieces to make the point. Both sides of the vinyl are here for you to enjoy. One of my favorites ... glad you're enjoying this too. Thanks for checking in on the blog Phil!